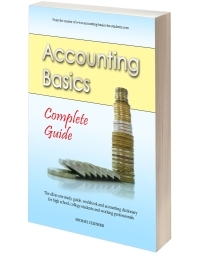 Do you have a funny story from when you were studying accounting (or other subjects)? Maybe something crazy happened right on the day when you were writing your exam? Or when you went for a job interview? Or maybe something ridiculous happened in one of your classes? Do you have a scary, gut-wrenching or horrific story from when you were studying accounting (or other subjects)? A story about a horrific test or exam? Or just a horrific question in a paper? How about a terrible teacher? Or a gigantic and super-complicated textbook? Tell us about it! Include a photo or image of yourself or one that is related to your story and you could win a copy of the full official Accounting Basics E-book, valued at $25! Do you have a great story to tell? Share it!